Month Average High Average Low Mean Average Precip. 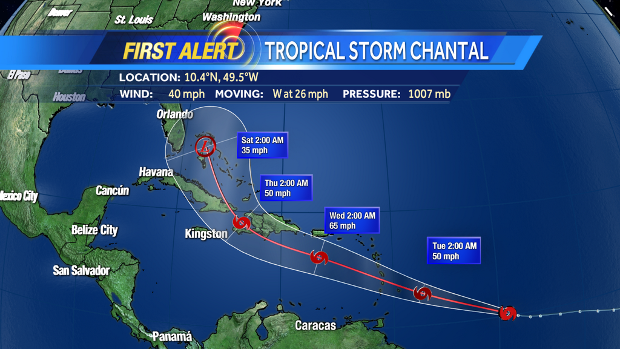 Hurricane season runs from June 1 to November 30, with August 15 to October 15 considered to be Peak Hurricane Activity. The highest recorded temperature was 103°F in 1961. The lowest recorded temperature was 19°F in 1985. August is the average wettest month. GPS Address: 2600 N. OLD LAKE WILSON ROAD, KISSIMMEE, FL 34747. January Low New Year's Day is very busy. February Low up to President's Week; High during President's Week; Medium from President's week onwards President's Week sees high crowd levels. March Medium until mid-March; High mid-March onwards. 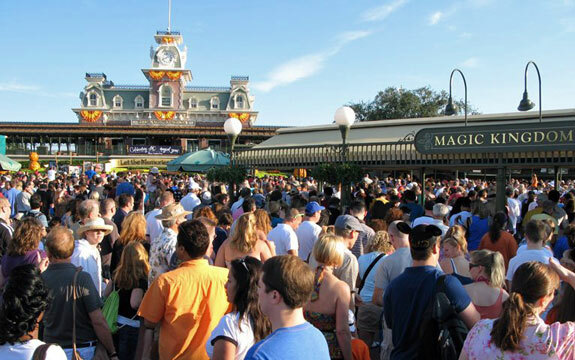 Spring Break crowds increase attendance from mid-March onwards. April High through to late April; Medium from late April onwards. Spring Break crowds increase attendance through until mid-April. Easter week is very busy. May Medium; High during Memorial Day Weekend. Memorial Day Weekend is very busy. June Medium until mid-June; High from mid-June onwards Gay Days are held on the first weekend at one park per day. July High Very busy month, July 4th is one of the busiest days throughout the year. August High Very busy month. September High through Labor Day; Low from the week following Labor Day. Busy until after Labor Day. October Low Generally quiet month but MNSSHP and Epcot Food and Wine Festival can draw in more crowds. November Low until Thanksgiving week. Medium the first part of Thanksgiving week; High Thanksgiving Day and weekend; Low after Thanksgiving weekend. Super Soap Weekend increases visitor numbers at Disney's Hollywood Studios for one weekend. Thanksgiving week is busy. December Low until the week before Christmas. High Christmas week onwards. MVMCP and the Christmas decorations draw in some extra crowds. Christmas crowds start to arrive around a week before Christmas, and stay until New Year, making the last two weeks some of the busiest at WDW. Quietest times to visit - January after New Year; First half of February; September after Labor Day; October; November up until Thanksgiving week. Busiest times to visit - July; August; Thanksgiving week; Christmas week through to New Year's Day. The traditional quieter times are getting less so, as more people realise that they are a good time to visit, and Disney puts on new events to increase visitor numbers during those times. Examples being October - Mickey's Not So Scary Halloween Party attracts more crowds during the month; More people are visiting in early December to see the Christmas decorations and attend Mickey's Very Merry Christmas Party. These are the estimated attendance levels at the parks based on past history, and Extra Magic Hours, and are given as a general guide only. 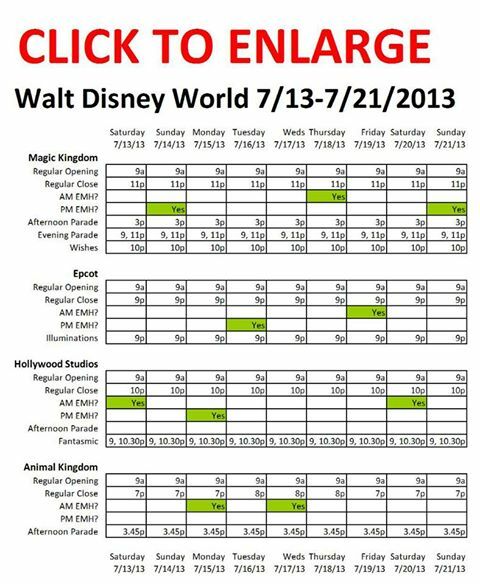 They can vary throughout the year depending on various factors (EMH changes, special events). At peak times, each park will be busy every day. Disney Parks Facts that you didnt know! dressed women were usually the woman of the house. you walk along, you can see the progression of the style. From the windows to the hardware to the door and window styles themselves. which was to represent the West Coast of the United States. The 17th-century mansion of master Gracie is supposedly on the Hudson River. The Hall of Presidents is supposed to represent Pennsylvania. I think the river for the paddle boat was supposed to be on the Mississippi. stopped in Frontierland represented California. owned by three different colonial families–a German family, a woodcarver’s family, and a musician’s family.  Liberty Square Christmas shop: Hidden park in Liberty Square in the back of the Christmas Store.  Liberty Square Christmas shop: there is a small tree called the Magical Moments Tree. Every day, one person is chosen to decorate the tree. That person gets a magical moments certificate and a free Christmas ornament. Typically the person chosen is picked early in the day, and is usually a child, but it can happen at any time to a person of any age. over time to hang crooked. some shadows, it looks like 2 people are walking by with a lantern.  Haunted Mansion: In the graveyard scene, one of the last scenes on the ride, you will find a great hidden mickey. At the end of the room, when the cart begins to turn, look over the right hand side and you’ll see a grim reaper. Look closely at his raised hand, he is holding a hidden ghostly Mickey.  Haunted Mansion: Be among the first to exit for the Doom Buggies by standing on the side with the painting of the lady with the parasol. dictionary that is turned to the word death.  Haunted Mansion: in the ballroom scene, if you look down on the floor of the balcony the doombuggies are traveling on, about halfway through the scene you will see a patch of light and the shadows of two pairs of legs swinging as if there are two people sitting on a ledge above you. 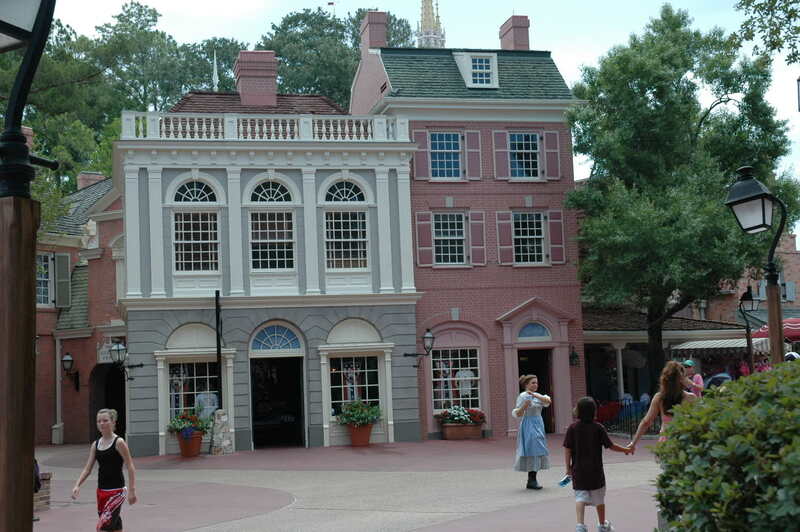  The flag that flies atop of the American Adventure actually has 15 stripes. from the west, and there is water flowing out from the plate into the Rivers of America. goes all the way down the walkway and looks like a brownish/yellow gravel. It seems in frontier times the streets had a urine trough in them for the all of the horse urine. The gravel area represents the urine trough.  Big Thunder Mountain: After you exit the ride, and are back outside walking down the exit ramp, look at the rocky wall to your left. You will see a deliberate profile of a hidden Tinkerbell – one of the best hidden characters anywhere in WDW.  Carousel: Cinderella’s horse is the horse with the gold ribbon tied on its tail.  Many Adventures of Winnie the Pooh: In the first room there is a picture of Mr. Toad handing over the deed to Owl (Pooh ride used to be Mr.
Beanstalk peeking into the shop.  Cinderella’s Castle: Inside the walls of the walk-through of the castle are several mosaics. On the mosaic wall farthest from the entrance are the two stepsisters, Anastasia and Drusilla. The mosaic shows one of them with a red face and the other with a green face. Red with Rage and Green with envy!  Peter Pan: Watch when you fly over the Mermaid Lagoon. You can see a mermaid that look remarkably like Ariel from the Little Mermaid.  Pirates of the Caribbean: Always stay in the left hand side of the queue when entering the line for the ride. At random times of day, Jack Sparrow will be in the jail cell on this side, and it makes for a great picture & is good entertainment.  Pirates of the Caribbean: Ask the cast member when you board if they said good morning to George today. George is supposedly a ghost that haunts the ride, and if they don’t greet him everyday, the ride will break down frequently or other strange things will happen.  When you first enter Disney World’s Magic Kingdom, walk under the train station where the lockers are. Facing Cinderella Castle, look for a door on the right just before you exit from under the station. Open this door and get a look at the Mural on the wall.  Tony’s Town Square: Paw prints of Lady and the Tramp outside of the porch on the sidewalk. Tramp sharing their late-night meal of spaghetti. as well as other characters’ belongings waiting to be picked up.  Harmony Barber Shop: This shop is on the left hand side as you walk down mainstreet, and is a little bit hidden. The wait gets very long, so if you want to visit, go early in the day. You can get a haircut, or just get “pixie dusted”. This is especially made into a big deal if it’s a baby’s first haircut as they get a special set of mouse ears and a Magic Certificate.  Carousel of Progress: The current voice of the main character you may recognize as the voice of the narrator from “A Christmas Story”.  Spaceship Earth: the scene with the monks writing. One has fallen asleep and has a Mickey shaped ink blob next to him. entrance (International Gateway) from some of the resorts to Epcot.  Germany: If you know the holiday story about the pickle ornament, find the pickle tree (in a store). and girl will come out (they are made our of wood, they are not real) and twirl around.  Morocco: Take a look at all of the mosaic tile artwork on the walls. You will notice that each mosaic has at least one cracked/flawed tile in it.  Morocco: There is a “gold” prayer room in Morocco that was included for the CM and is open to the public.  England: The tea shop outside and inside architecture represents UK in the 1600s–thatched roof, huge hearth inside low ceilings, dark lighting even the style floor. The next shop represents the 1700s and has a sign out front that says Est. 1702. It has higher ceilings and basic wrought iron lighting fixtures. If you look at it from the outside, you can see the cantilever build. They threw out the upstairs windows into the drains that ran down the center of the streets. Just another reason gentlemen walked nearer the road and wore large brimmed hats while ladies walked very near the bldgs. The next building is 1800s neoclassical. See the window styles and even how ornate the window coverings and lighting are? Look up at the ceiling and how it is painted. As you exit that shop, look to your right. There is a whole other building over there, and it is in the same 1800s time frame to stay in sync. Look at the rooftops. See the Mary Poppins style chimneys?  Singing in the Rain Umbrella: Near Lights Motor Action at the end of NY Street. movie version) temple. The idea is to pat the head of the idol as you go past.  While facing the entrance of IJSS, look to the left. There’s a display of Indiana Jones props. There’s a rope that says “do not pull”. Pull the rope and listen.  Muppetvision 3D. Right after you walk in the building on the right you will see and window that has a sign hanging “Be back in 5 minutes, Key is under the mat”. Check under the mat and there really is a key. looks like it could be a queue line for ITTBAB, but it’s the path. the left, you will see what appears to be a Dragon Waterfall (the sole surviving hint of Beastly Kingdom).  At the Tusker House Restaurant you can hear kitchen noises if you sit in the outside dining area.  Downtown Disney, Art of Disney Store – The Art of Disney Store runs a trivia quiz daily with prizes. 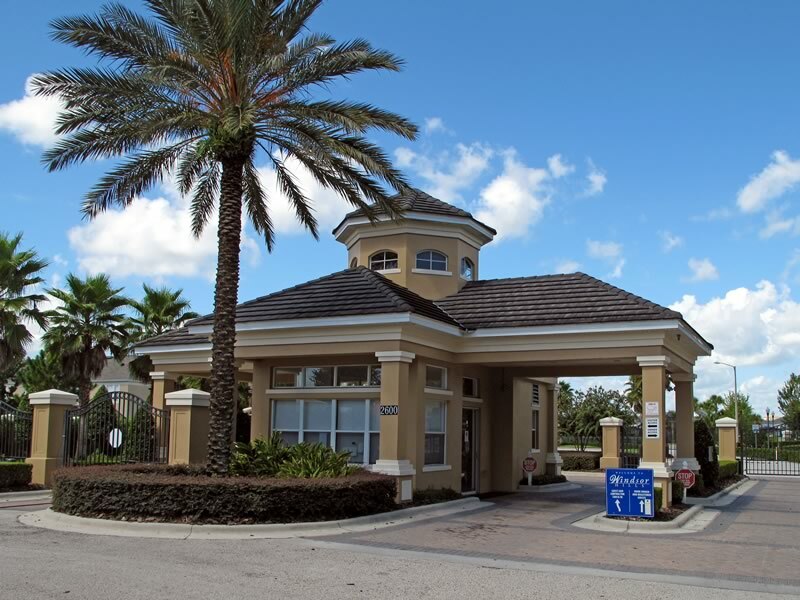 Location, location, location: Windsor Hills is the closest resort to the disney parks! If you're travelling to Orlando / Walt Disney World Resort and are looking to rent a gorgeous new home directly from the owners at a great rate, check out the brand new 5* Windsor Hills Resort, located in Kissimmee, FL, just 5 minutes, 2.1 miles from the entrance to Walt Disney World! Built in 2005 by Pulte Homes, the incredible Windsor Hills Resort consists of 2 and 3 bedroom condos, 3 bed / 3 bath townhomes with private pool, and 4, 5, and 6 bedroom pool homes / villas, set in an incredible 5* gated resort community! Some of the magnificent features of this guard-gated community include a luxurious water park pool and clubhouse with fountains, waterslide, and a hot tub lagoon spa. The amazing clubhouse over-looking the pool has a game room, HD movie theater, state of the art fitness center, and has billiards tables, and a video game area, a sundry shop, fitness room with top of the line fitness equipment, high definition surround sound movie theater, and other outdoor recreational activities such as outdoor poolside ping pong, all surrounding the heated Double Olympic Size Swimming Pool with waterslide! The clubhouse and lagoon hot tub area are set next to a beautiful wetlands area, amidst lush tropical landscaping throughout the whole resort. 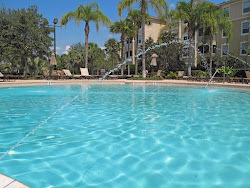 Play outdoor ping pong next to the amazing resort pool, or take the Windsor Hills shuttle to one of the many close theme parks, or play golf at one of the many Orlando championship courses, we're right next door to Mystic Dunes! (#2 rated course in Orlando area). There’s more! 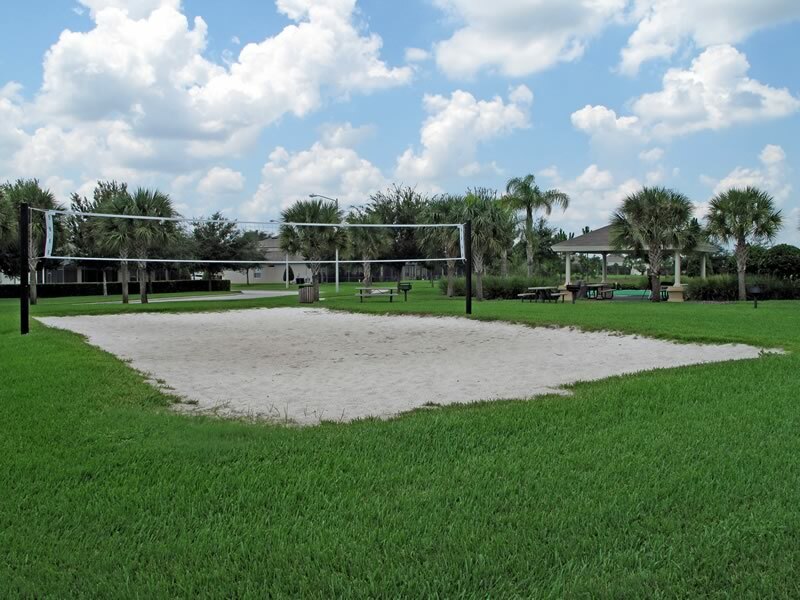 resort recreation area, has lighted tennis courts, sand volleyball, lighted basketball courts, as well as a newly opened golf practice putting/chipping green area. Next, there’s a state of the art children’s playground area. 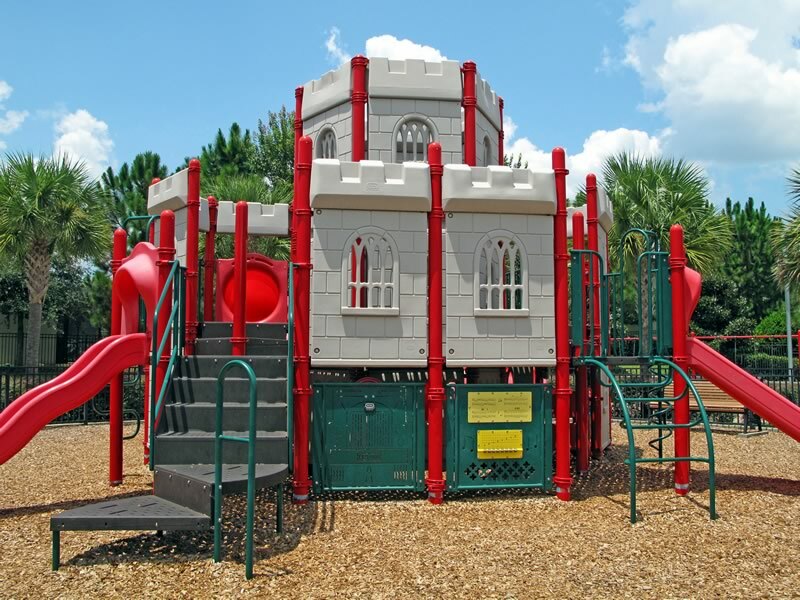 The unique, castle themed playground has something for everyone. A dragon guards the drawbridge over the moat and once inside, children and imaginations run wild! Whether it’s a quiet game of jumbo chess or rescuing a damsel in distress from the castle dungeon, boys and girls of all ages are sure to find a one of a kind play experience.